A new Japanese spot has made its debut in the neighborhood. 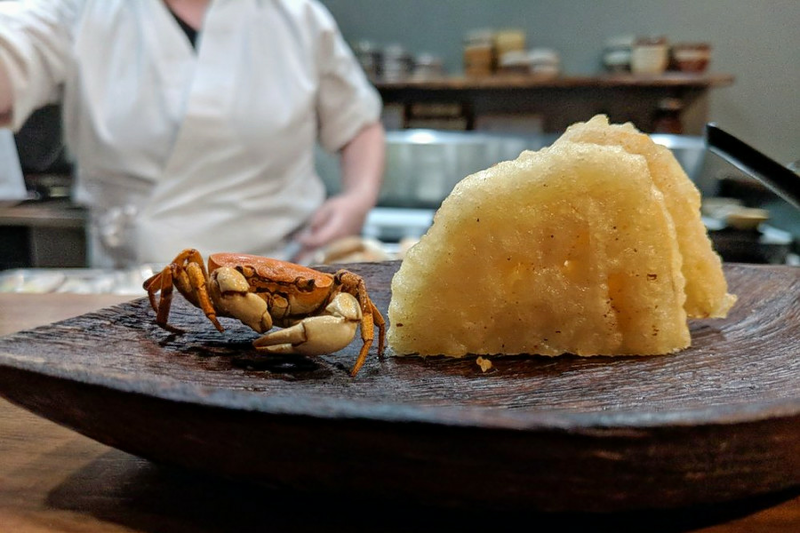 The new addition to Central Park, M Tempura, is located at 111 Orange St.
As part of a restaurant group that has several outposts, M Tempura offers a tempura omakase style experience. The menu features seafood, vegetables and meats such as ibericopork from Spain. The fresh addition has made a good impression thus far, with a four-star rating out of 14 reviews on Yelp. Angelique A., who was among the first Yelpers to review the new spot on Oct. 26, wrote, "I'm no longer having sushi withdrawals after finding this place! Everything from the miso soup to the sashimi was excellently prepared." Yelper Jared W. added, "The tempura here is truly authentic and as good as anything that we've had in Japan. If you've never had real tempura, I highly recommend M Tempura." M Tempura is open for lunch from 11:30 a.m.-2 p.m. Tuesday-Friday. Dinner hours are 5 p.m.-9:30 p.m. Tuesday-Thursday and 5 p.m.-10 p.m. Friday-Saturday. M Tempura is closed Sunday and Monday.